Have you ever heard about superfood? Do you want to know why it’s so “super”? This month you can expect a “miniseries” of 3 articles concerning this special fruits, which tell you more about their exceptionally beneficial effects on your organism. First part of our series is dedicated to raspberries. Do you love them freshly gathered from the garden? Enjoy them even in higher volumes! Learn more about how they influence your health and find original recipes for fresh drinks! Raspberries belong to the healthiest fruits on the earth. They contain a very high volume of antioxidants, which slow down the aging and help to fight numerous illnesses. In addition to them, raspberries have a lot of iron, magnesium, potassium, zinc, vitamin C, B complex vitamins and roughage. 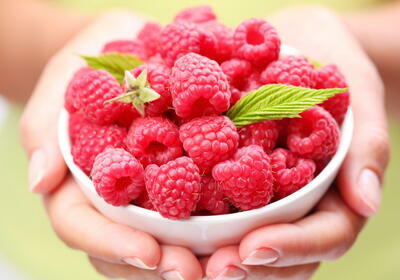 And how raspberries '''help your organism? The healthiest are raspberries from the local produce. The ones you can find in supermarkets are usually imported from distant countries and therefore they don’t have that many wholesome substances in comparison with local raspberries. Prepare the pink drink full of health! The great way how to effectively get a huge amount of vitamins in your body is juicing. Small berries are the best for using as a complement for the fresh juices made of “harder” fruits and vegetables such as apples and carrots. They nicely flavor your drinks and give them unmistakable taste. For the preparation of fresh juices containing berries use auger juicer or blender, which help you to get the right consistence of your original drinks! Don’t forget to wash your raspberries even if you gather them right behind the corner in order not to spoil their wholesome substances!